Permapipe Systems Australia is an Australian-owned, ISO 9001:2008 accredited company specialising in piping and insulation systems. Permapipe understands that your installations must withstand the test of time and as such, has developed its products to ensure customers receive both quality and durability. The on-going research and development programme at Permapipe is continuously advancing products to increase efficiency and provide cost-effective manufacturing solutions. Superior quality products and services are enhanced by the collective industry experience of the Permapipe team, which totals more than 300 years. Ensure efficiency, longevity and safety with Permapipe’s range of pre-insulated piping systems, which is designed to convey fluids while minimising heat transfer to ambient conditions. Quality guaranteed piping systems are delivered custom-made and ready-to-install using a simple reinstatement process, complete with vapour-tight joint, bend, reducer and tee kits, as required. Trained specialists and state-of-the-art single shot polyurethane injection equipment is used, guaranteeing a consistent fill factor to keep heat loss and/or gain to an absolute minimum. The dedicated research and development division ensures continuing advances in system efficiencies and rigorous testing providing confidence in the reliability and safety of Permapipe’s systems. Polyurethane’s low thermal conductivity and closed cell composition, with zero ozone depletion potential (ODP) and zero volatile organic compound (VOC), make Permapipe’s above ground and underground pre-insulated piping systems the most energy efficient and sustainable solution for your project. Choose Permapipe’s above ground and underground pre-insulated piping systems for optimum performance in the most demanding applications. Permapipe’s double-walled containment and leak detection piping systems are designed to improve safety and maximise the efficiency of the transport of hazardous goods. Permapipe’s pre-fabricated double-wall containment piping systems are manufactured by centralising the carrier pipe within a protective outer casing using a closed cell, CFC-free, rigid polyurethane foam to create a dual containment system for the transport of hazardous liquids. For additional security, each system also comes with the option of adding a leak detection void to suit a leak detection cable. Permapipe’s ISO 9001 Quality Assured manufacturing system guarantees a quality and consistent product, giving you complete confidence that your project will maintain the highest standards in safety, reliability and durability. Choose Permapipe’s Permacase double-wall containment piping systems for optimum performance even in the most demanding applications. Permapipe provides specialist piping fabrication of carbon steel, stainless steel, copper and plastic piping for the mining, HVAC-R, oil and gas, water treatment and fire industries. Permapipe has a diverse and highly skilled workforce with a strong emphasis on the continuous improvement and training of its employees. Pipe fabrication personnel are qualified to Permapipe’s ASME IX certified welding procedure. As a member of the Welding Technology Institute of Australia, Permapipe is dedicated to remaining at the forefront of welding and fabrication technology. Through a range of external supply partners, Permapipe also provides add-on services such as abrasive blasting, internal and external corrosion protection, NATA-accredited non-destructive weld testing and pressure testing. Permapipe’s purpose built production facility has the capability to fabricate pipe up to 900mm in diameter, at lengths of 12m and more. Permapipe’s research and development programme is continually striving to discover new ways of working to reduce wastage and to recycle materials. The company’s state-of-the art facility is testament to Permapipe’s commitment to energy efficiency. Materials used in production are 100% CFC-free. The efficiency of Permapipe’s insulation products contribute to minimising energy costs in heating and cooling systems and processes, and thus helping to reduce the carbon footprint of your building. 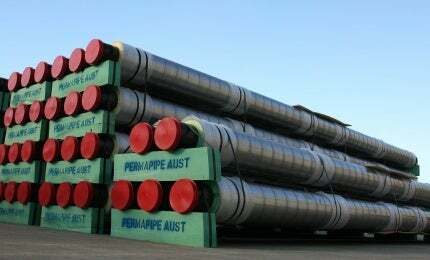 Permapipe specialises in manufacturing piping and insulation systems across Australia. Permapipe's double-walled containment and leak detection piping systems are designed to improve safety and maximise the efficiency of the transport of hazardous goods. Ensure efficiency, longevity and safety with Permapipe's range of pre-insulated piping systems. 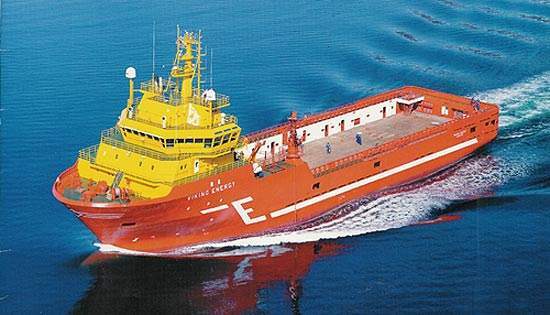 Designed to convey fluids while minimising heat transfer to ambient conditions.